On 5th of January we were honoured to have Jemila Abdulai, founder of Circumspecte, spend the evening with the girls. Circumspecte contributed significantly towards our fundraising activities last year by organizing the Circumspecte 2014 Ramadan Fundraiser. Thanks to this , 7 new girls received scholarships to go to school. 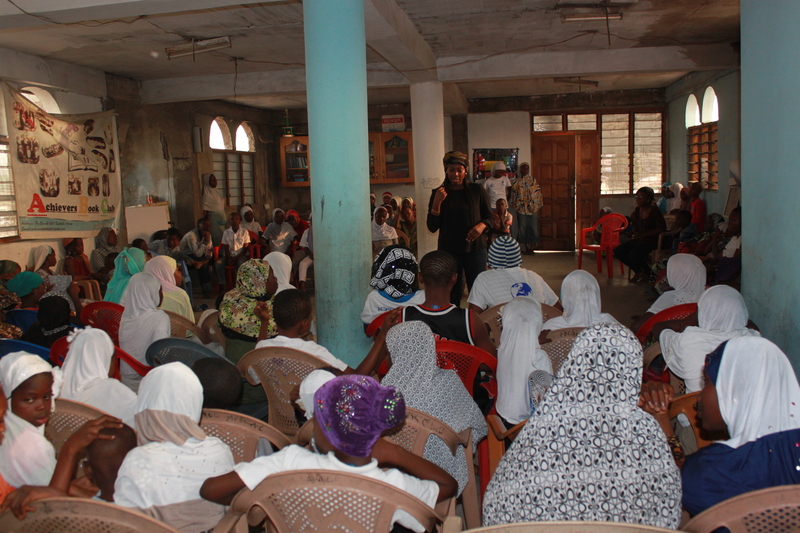 On Monday, Jemila met the girls for the first time, engaging them in a question and answer forum. She shared her own experiences as a young muslim woman and a prolific writer. Naturally, the girls had a ton of questions. Achievers Ghana is always grateful for opportunities such as this! This entry was posted in News and tagged circumspecte, fundraiser, jemila abdulai, ramadan, scholarship. Bookmark the permalink.